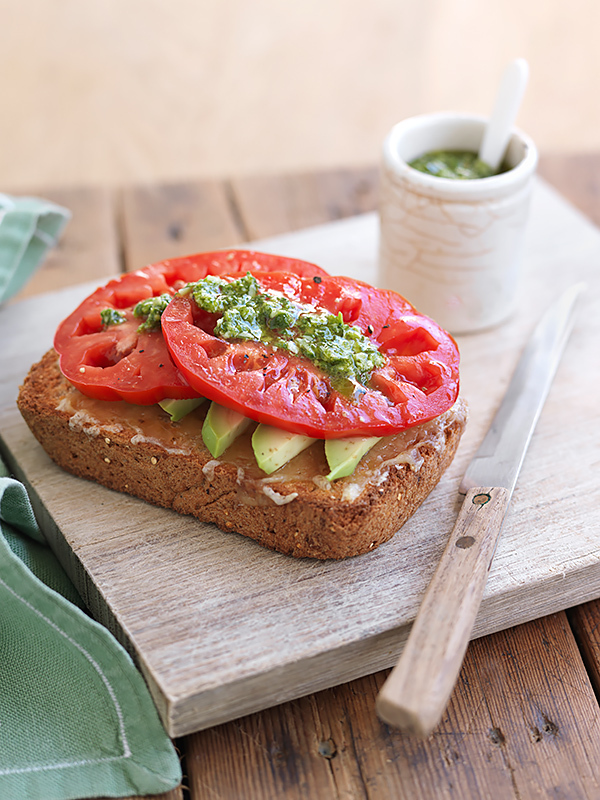 Slice off a lovely thick piece from your freshly baked Sourdough Loaf and top it with the classic avocado and tomato mix. What else can we say? It’s quick and delicious! Toast Sourdough Loaf slice until golden brown. Check out our Sourdough Loaf recipe: https://www.theideaskitchen.com.au/sourdough-loaf/.